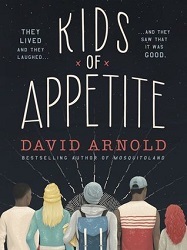 This entry was posted in 2 Star Rating, 2018, 4 Star Rating, Book Reviews, Yvo's Shorties and tagged 2 star rating, 4 star rating, abuse, book review, contemporary, david arnold, fiction, horror, kids of appetite, misery, mystery, published in 1987, published in 2016, realistic fiction, romance, stephen king, suspense, thriller, young adult, Yvo's Shorties by Yvo. Bookmark the permalink. 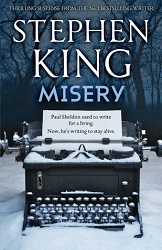 Misery is I think the only King book I’ve read and it was a long long time ago. I do remember really enjoying it though. It’s also one of the few films based on his books I’ve really loved and watched multiple times. Have you seen it? Out of curiosity, what would you say your fave King book is? Sorry Kids didn’t work out for you. I actually still have to see the movie! I’ve been avoiding it because I don’t like watching the movie before reading the book… I just checked and it’s not on Netflix, but I’m definitely going to try and watch it if I can get it. My favorite King is hands down The Shining (and the sequel as well). The funny thing is that I wasn’t impressed by the movie at all when I finally saw it, while the book blew me away. It is a great film. The Shining is probably one of my other fave King films although it is very weird. I really should read the book although often once I’ve seen the movie I don’t see the point. I really should try and watch it another time because I might just not have been in the mood… I always hate reading the book after the movie because I’ll have the actors stuck in my mind and descriptions usually don’t tend to match. I think The Shining is definitely worth the read though, as well as the sequel. Oooo I’ve been contemplating my next Stephen King novel! Misery sounds awesome. What is your favorite SK book? 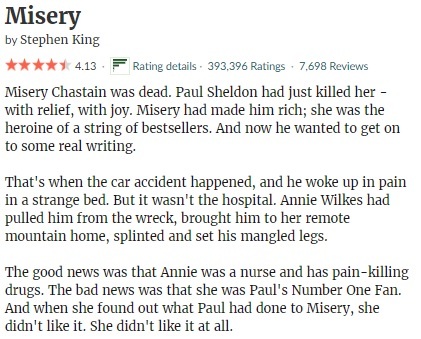 Misery is definitely one of the better King books I’ve read! The Shining is still my absolute favorite though (along with the sequel). Great reviews! Sorry that you didn’t enjoy Kids of Appetite. I can see how the writing style could cause an issue with enjoying the book. 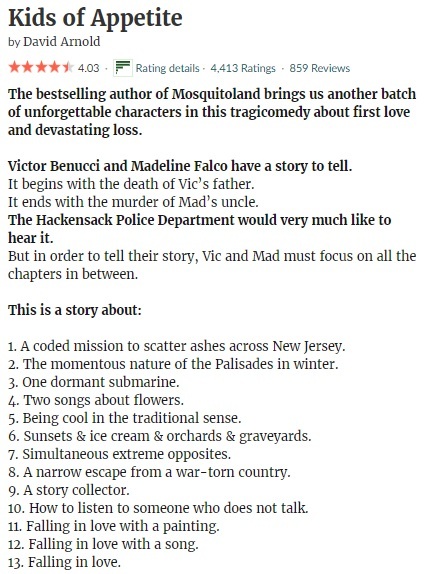 The writing style is quite unique and either works for you or it doesn’t… In a way it’s strange I reacted this way since I loved Mosquitoland, but in this story it just didn’t work for me.